Despite grim warnings about snarled supply chains, trucks stacking up at Dover and British parts banned for use on European-built aircraft, industry fears over Brexit have always been more about the long haul than what might happen in the weeks after 30 March 2019. There are certainly worries about trading arrangements immediately after leaving the EU, even in the event of a no deal. However, a larger concern is that ties between the UK and Airbus – which had been getting ever tighter since the Franco-British Concorde partnership that pre-dates the country joining the European Community – will begin to come apart. The UK is one of four Airbus “home nations”, along with France, Germany, and Spain. Factories in Bristol and Broughton design and build every Airbus commercial aircraft wing, from the fast-ramping-up A320neo single-aisle to the A380, the world’s biggest airliner. Hundreds of UK companies are involved in the supply chain. Airbus’s purchase, in summer 2018, of the Bombardier CSeries, now renamed the A220, has further solidified the relationship. Bombardier conceived and produces the composite wings for the 110- to 130-seat aircraft in Belfast, and still owns the rights to their design. When Prime Minister Theresa May met Airbus boss Tom Enders at July’s Farnborough air show, it was an awkward affair. May was keen to push the vision of a confident post-Brexit Britain forging new alliances and trade links with aerospace industries around the world. Enders conceded there would be no drastic withdrawal from the UK after March 2019, even without a trade agreement. However, maintaining levels of investment in the longer run was far from a given, and that transferring wing production – the crown jewel of the UK’s civil aerospace industry – was “possible and doable”. That is not to say that Airbus does not have more immediate fears about a no-deal Brexit. In June, the manufacturer said that it would need to store some €1 billion of stock to hedge against the risk of an interruption to its supply chain if there was a no-deal exit. At a time when it is looking to increase production of its A320neo to 60 aircraft a month, with close to 10 a month of its A350 widebody, Airbus cannot afford hold ups. 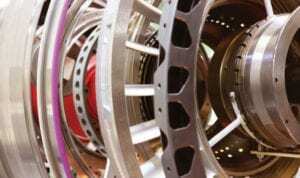 It has around 4,000 suppliers in the UK providing some 10,000 original components; failure to secure a trade deal would mean these companies would lose their approvals from the European Aviation Safety Agency, in theory at least. Of course, much depends on what agreement the UK ends up with but, even before the 2016 referendum, the governments of Germany, France and even Spain had been keen to break the UK’s wing-building monopoly. When Airbus opted eight years ago to launch a re-engined version of its top-selling A320, rather than a clean-sheet narrowbody, it (like Boeing) put off the arrival of an all-new single-aisle airliner for the best part of a quarter century. However, the Toulouse-based company has already begun preliminary “Wing of tomorrow” studies and the smart money would be on a full-scale development project sometime in the mid-2020s. Although Airbus units in France and Germany – Stelia Aerospace and Premium Aerotec – have extensive experience in aerostructures, their expertise is more in fuselages, tails and cockpits than wings; gaining the knowledge that the UK has developed over generations would not be easy. Moreover, the UK has another ace up its sleeve. Bombardier’s Belfast plant is now Airbus’s only third-party wing supplier, after the A220 programme purchase. The Canadian company’s leaders believe that its knowhow in composite wing design – which the Belfast business has been nurturing since the 1980s – gives them an advantage next time a major R&D project is allocated. Of course, the UK aero industry is not solely dependent on trade with Airbus. Arch-rival Boeing spends over £2 billion with UK suppliers each year, including Rolls-Royce, which builds one of two engines offered on the 787 Dreamliner, the Trent 1000. In October, the US giant opened its first production facility in the UK, in Sheffield, where it will engage a local supply chain to build components for actuators on the 737 Max. 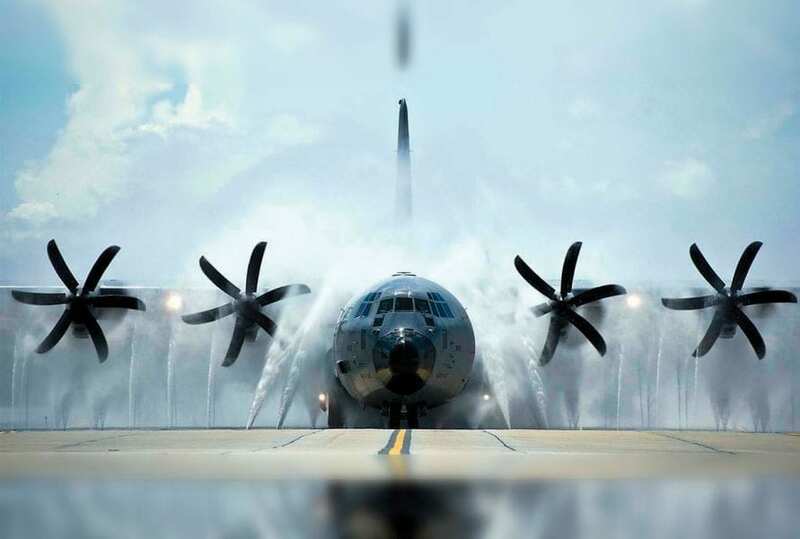 Although the investment is modest, and partly reflects recent Ministry of Defence contracts awarded to Boeing, the fact that the world’s biggest aerospace company now has an industrial footprint in the country is significant. 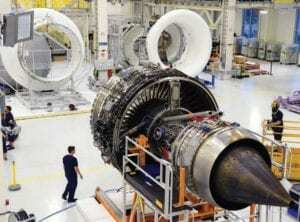 Rolls-Royce remains, with General Electric and Pratt & Whitney, one of three jet engine makers in the world but it has had a challenging year. 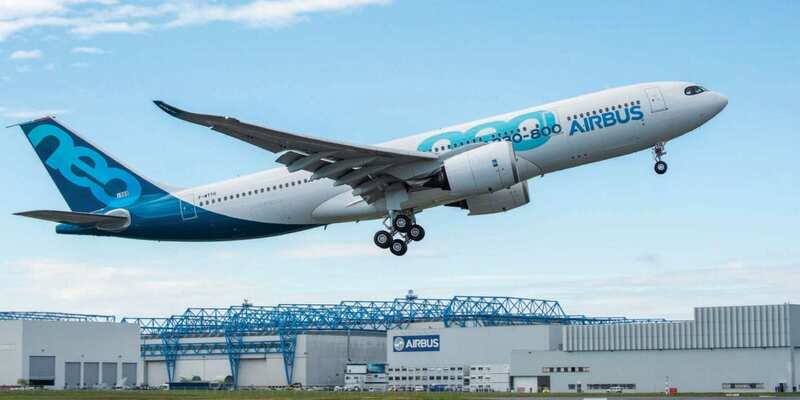 It fell behind its target output for Trent 7000 engines, which power the Airbus A330neo, and was dogged by in-service issues with the Trent 1000. Only an Emirates order for Trent 900-powered A380s is keeping production of another flagship programme limping on while a decision, over a decade ago, to withdraw from the single-aisle engine market has left it unable to reap the rewards of runaway demand for the A320neo and its 737 Max rival. The ramp up of the Trent XWB for the A350 – it is sole supplier – has been a rare bright spot. Among the UK’s half-dozen or so tier one suppliers, Meggitt had an eventful 2018. New chief executive Tony Wood embarked on a restructuring of the public company, merging product-based operations – many of them SMEs acquired over the years – into divisions focused on four main markets. Meggitt, whose commercial portfolio includes electric braking systems, has divested from non-core activities and started work on a new consolidated factory and head office in Coventry. That facility will open in 2019 and replace four other plants. Wood promises a business more focused on aftermarket and airliner ramp-up, one that is, above all, “easier to deal with”. One sector enjoying strong growth, and in which the UK’s influence is growing, is aircraft interiors. This is an element of galloping demand for single-aisle airliners, particularly in Asia; fast-evolving technology and consumer expectations on comfort, ambience and connectivity are driving faster cycle times in premium cabins. According to Invest Northern Ireland, one aircraft seat in every three produced in the world is built not just in the UK but in the Province, with a factory owned by the USA’s Collins Aerospace Systems a major player in the economy segment. Thompson Aircraft Seating, which only set up around 10 years ago, has become a powerhouse in business- and first-class. A Chinese automotive products manufacturer, ZTC, bought another seating start-up, Gatwick-based Acro, in late 2017. It plans to open an assembly line in Shanghai in 2019, to exploit the growing local retrofit market for interiors. 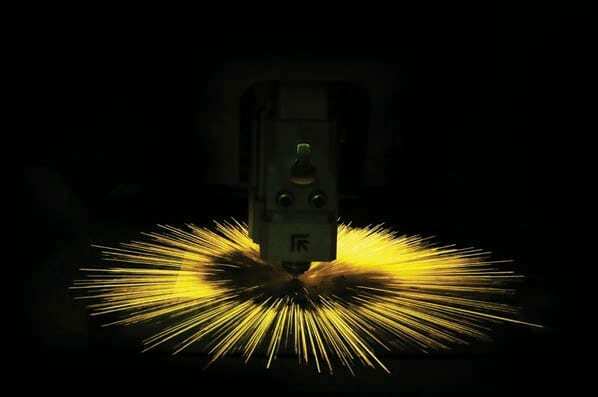 Yet another Chinese concern, mining group SLMR, is replicating in Chengdu the main Derby aerostructures factory of Gardner Aerospace, a firm it acquired in 2017. According to the company’s business development executive vice-president, Nick Guttridge, the move will push Gardner’s revenues from around $300 million to over $1 billion by 2022. “We were never going to do that only organically,” he admits. Rolls-Royce’s Trent XWB engine is the sole power unit for the Airbus A350. While the outlook for UK aerospace depends very much on the outcome of Brexit, the government has also been putting a lot of effort into improving the nimbleness of industry. The Whitehall-supported Aerospace Technology Institute is a Cranfield-based organisation set up in 2013 to channel research and development funds into areas such as future propulsion technologies and electric aircraft. The Aerospace Growth Partnership, established in 2010, is a commitment among industry, academia and government to work together to “grow the UK’s position as a world-leading aerospace industry”. 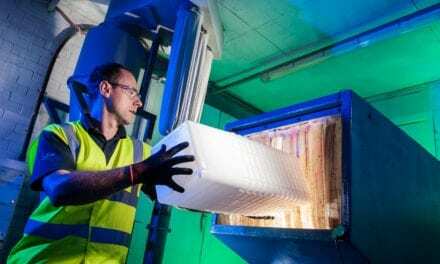 Another initiative, Supply Chains for the 21st Century (SC21), managed by the ADS industry association, is a scheme to raise the performance and competitiveness of UK supply chains by encouraging them to adopt lean manufacturing techniques and improve quality control. 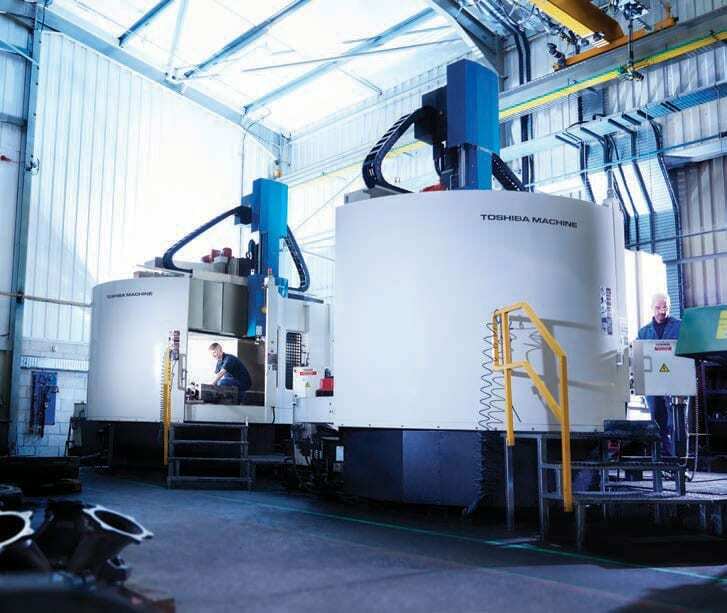 Almost 900 SMEs have taken part over the past decade or so and, this year, three companies attained the highest, Gold, standard: A&G Precision Engineering in Lancashire; and two businesses from Northern Ireland: Denroy Plastics and Moyola Precision Engineering. 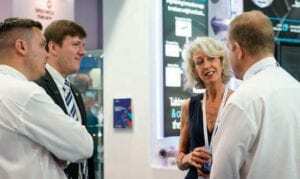 The commercial aerospace industry remains vital to the future health of the UK economy. 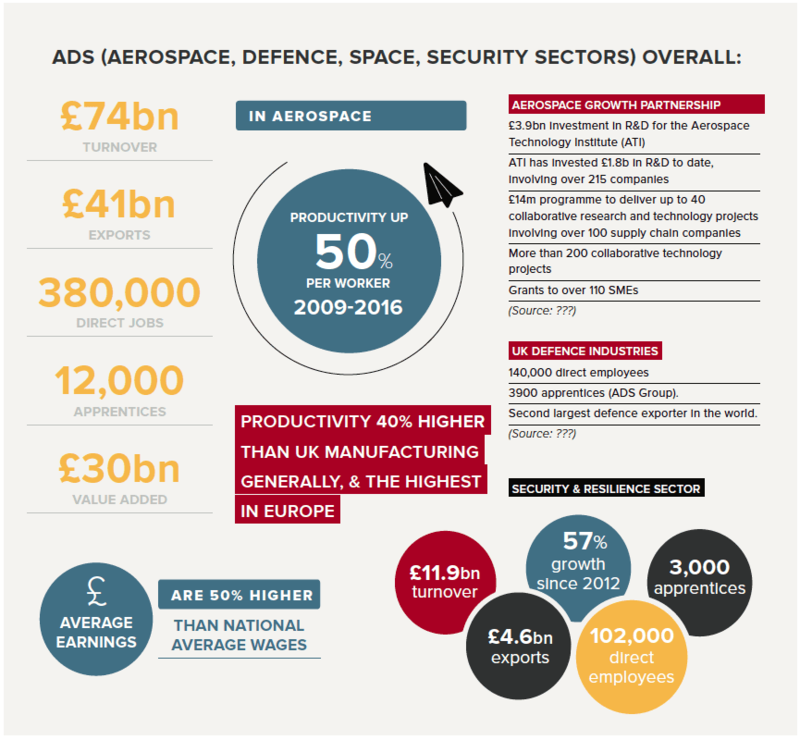 Together with its associated defence, security and space sectors, it is the second biggest in the world after the USA, generating, according to ADS, £74 billion in revenue, 380,000 direct jobs, and £41 billion in exports. While a “bad Brexit” – however defined – would not be the death knell for aerospace in the UK, for this most international and political of industries much now hangs on how the country finally makes its break with Brussels, and its new relationship with the rest of the world. Twelve months from now, we may well be able to see the direction that is taking. 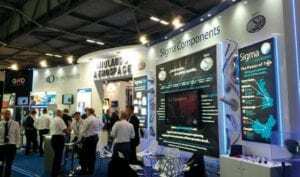 The Midlands Aerospace Alliance, one of several regional-based aerospace groups in the UK, will host its second biennial Aerospace Forum in Birmingham on 19-21 March. A conference followed by two days of pre-arranged “speed dating”, the idea is to host meetings between local suppliers and potential customers. “There was no other event like Aeromart in Toulouse in the UK, so we decided to launch it here,” explains MAA chief executive Andrew Mair. On 16 November, ADS said that Theresa May’s withdrawal agreement and political declaration would offer UK aerospace companies the “certainty they need” and warned that there was “little time to prepare for the disruption of a “no-deal” outcome if this agreement is not taken forward”. In July, Airbus formally took over the troubled CSeries programme from Bombardier, renaming the 110- to 130-seat jet the A220 and leaving the Canadian manufacturer’s aerostructures plant in Belfast, which makes the composite wing, as a key supplier to the Montreal-based final assembly line. In October, ratings agency Moody’s warned that a no-deal Brexit would affect small suppliers worst, with trade barriers and restrictions of movement on people prompting companies to “consider changes to their manufacturing footprint [and] where to base their intellectual operations”. Rolls-Royce took a £554 million exceptional charge in the first half to account for costs incurred solving blade problems with its Trent 1000 engines for the Boeing 787. 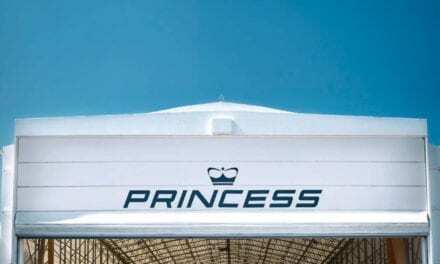 It was one of a number of problems reported by the Derby-based propulsion company in 2018. Earlier in the year, it announced plans to shed 4,600 jobs.